Avocados are high in good quality fat, fibre, they contain over 20 vitamins and minerals and have more potassium than bananas. 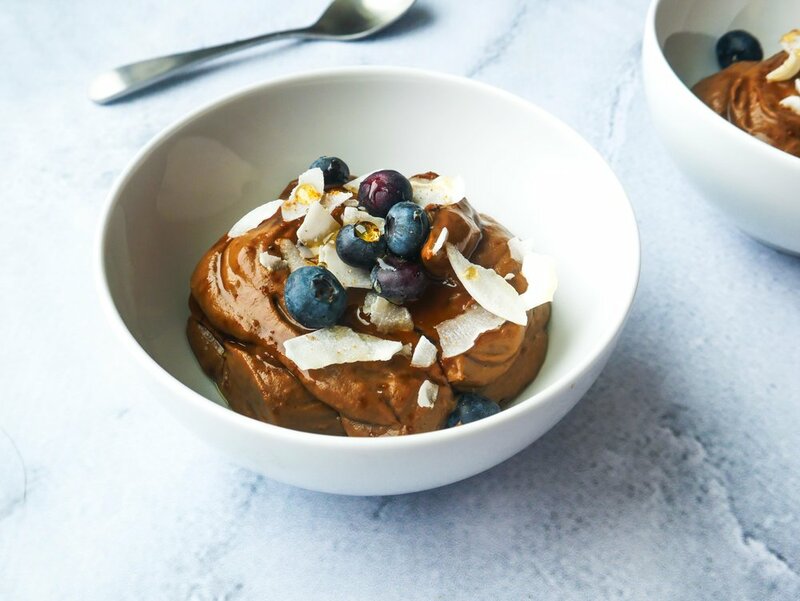 This mousse recipe is a healthy, creamy, decadent dessert made with avocados, cacao powder, almond milk and vanilla. I topped mine with blueberries, coconut chips and honey. Other toppings that can be used include fresh fruit, coconut cream, cinnamon, cacao nibs and nuts and seeds. This recipe can be eaten as a dessert, snack or even at breakfast time when added on top of oats. 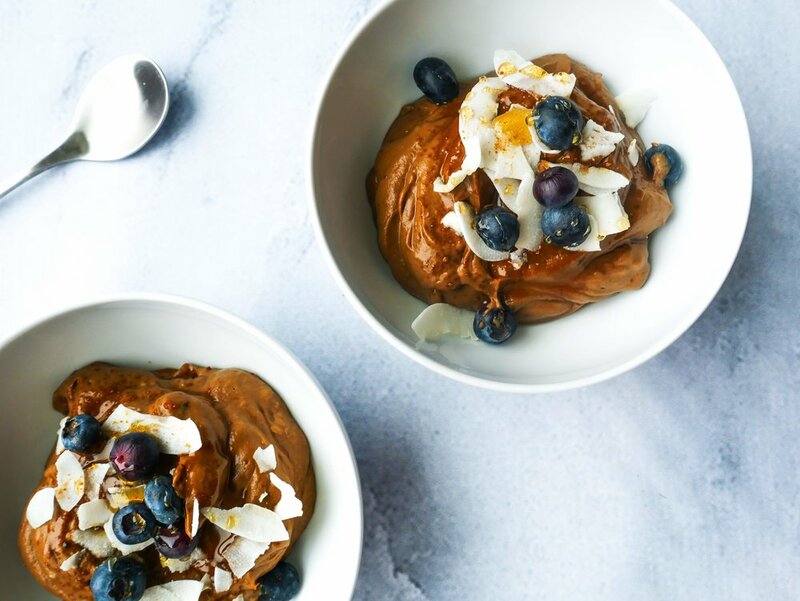 In a food processor, add the avocado, cacao, almond milk, protein powder, vanilla and salt. Blend until thick and creamy. Separate the mixture into 2 small bowls and sprinkle with toppings of choice. Store in fridge before serving.